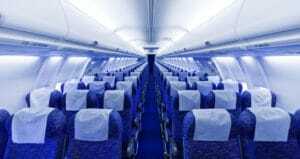 Flight attendants live life in several hour increments, catapulted from one city to another in a blur of faces and the needs of passengers whose demands run the gamut from the mundane to the arduous. They’re safety stewards, charged with giving life-saving instructions at the beginning of each flight; they’re waitresses, serving meals up and down a single narrow aisle; they’re bartenders and nurses and confidants and everything else, and until they get to their hotel rooms, their every waking moment is spent caring for other human beings. It’s little wonder, then, that the demands of the job can often lead to problems with drugs and alcohol. They’re away from home, living out of suitcases in far-flung hotel rooms, opening the curtains every morning to a new skyline and a new time zone. Alcohol becomes a social lubricant that expands those fleeting social circles. Prescription drugs are often easier to obtain overseas, and the temptation to use them to combat exhaustion or jet lag makes it easy to turn to them for relief as well. Most drug and alcohol problems start out as insignificant dalliances, but they can soon overwhelm even the most organized and determined individual’s attempts at self-control. Combine that with the physical and emotional tolls that a flight attendant’s career takes on their bodies and their home relationships, and addiction and alcoholism can have a devastating impact not just on careers, but on lives. attendant for Northwest before joining Cornerstone in 2007, when she founded the program. Sally found sobriety herself in 1995, and rejoined Northwest as a grateful recovering employee; although she retired as Cornerstone’s Aviation Program director at the end of 2016, she still serves as a consultant to the Aviation Program team by providing guidance, historical context, chart reviews/audits and marketing support. 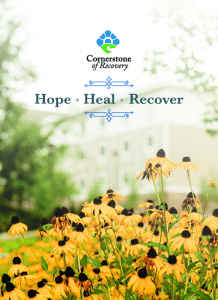 In Cornerstone’s Aviation Program, patients start out with a medically supervised detox regimen that slowly and safely weans them from drugs and alcohol, they’re then introduced to one of four primary treatment programs – Newcomers, Recovery Renewal, Young Adults or the Women’s Program – and integrated into a community of peers who suffer from the same illness. Within that community, they find hope for a better way of life, as well as a specialized treatment path specifically for aviation professionals. Through a Bio-Psycho-Social-Spiritual approach to substance abuse treatment, patients learn to care for their bodies, minds and spirits. 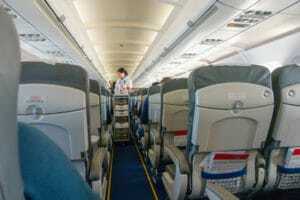 For flight attendants who have made a career out of caring for others, that can be a difficult concept; after all, their lives revolve around putting the needs of passengers and fellow crew members before their own, and reorganizing those priorities can seem foreign to flight attendants. It’s a necessary component of the treatment process, however, and the end result is often a more fulfilling life for those who embrace it – which leads to a more fulfilling career. That journey begins, however, by allowing us to care for them. For more information, call Cornerstone of Recovery today and inquire about whether our Aviation Program can give you your life back.